Treasure Hunt Prague is located in Prague. 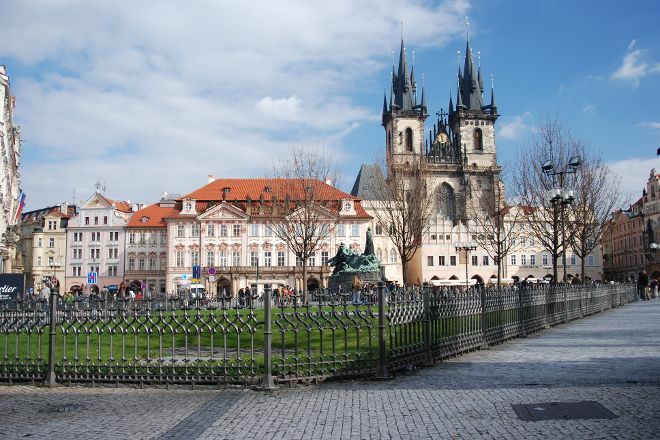 Using our online itinerary creator, Prague attractions like Treasure Hunt Prague can form part of a personalized travel itinerary. I organized the activity for a visit of a group to Prague. From the first moment staff helpful great explaining the features of the game at all times. It is a way to see the city while having fun, work on computer and run... much! to win. It is suitable for all audiences and highly recommended for working groups. We should make some changes at the last minute and they were able to adapt the game to our needs at the last minute. A great experience. We had our team building and chose treasure hunt as an activity and we were more than happy with it. It was well organized and fun. Even bad weather didn't disturb us. I highly recommend treasure hunt! We used Treasure Hunt Prague as the team building event during our 2 day meeting in Prague - it was a fantastic experience and gave us the opportunity to see more parts of Prague in a fun setting than simply walking round. Would definitely recommend. Every day, we help thousands of travelers plan great vacations. Here are some tips on how to use your Listing Page to attract more travelers to your business - Treasure Hunt Prague. Promote your permanent link - https://www.inspirock.com/czech-republic/prague/treasure-hunt-prague-a4256740579 - on your website, your blog, and social media. When a traveler builds a plan from this page, the itinerary automatically includes Treasure Hunt Prague. This is a great way for travelers looking for a great vacation in your city or country to also experience Treasure Hunt Prague. Promoting your link also lets your audience know that you are featured on a rapidly growing travel site. In addition, the more this page is used, the more we will promote Treasure Hunt Prague to other Inspirock users. For best results, use the customized Trip Planning Widget for Treasure Hunt Prague on your website. It has all the advantages mentioned above, plus users to your site can conveniently access it directly on your site. Visitors to your site will appreciate you offering them help with planning their vacation. Setting this up takes just a few minutes - Click here for instructions.